There are certain things that physically stand out about me to people, besides being tall. My eyes seem to change color, and vary between blue and green, with either a yellow or orange center. And I’ve had long dark hair. I’m not going to lie, having a ten month old baby has often had me ponder chopping it all off. I now understand why the term “mom hair” came about — it’s because infants love to grab and rip the hair out of your scalp! That, and sometimes having long hair can be a chore to maintain. 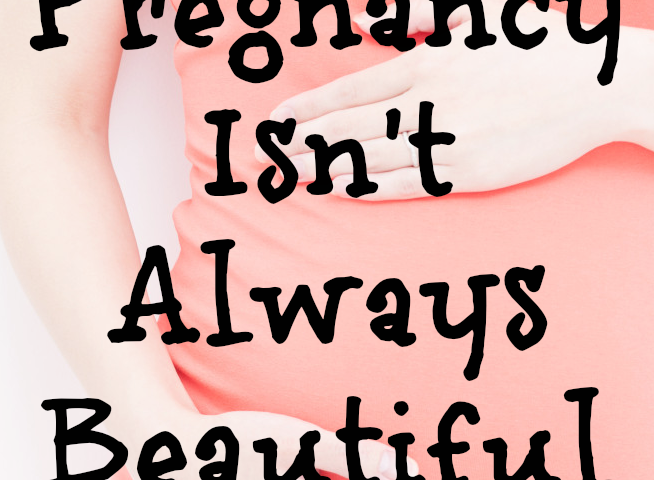 But I’ve come across a few tips that have helped me keep my long dark hair, even after having two children. And a lot of it, is the use of hair braids. As you can see from the video below, my baby loves to scratch at my face, and if it weren’t for my crown braid, she probably would have ripped out several strands of hair. Someone wants to try on my lipstick! 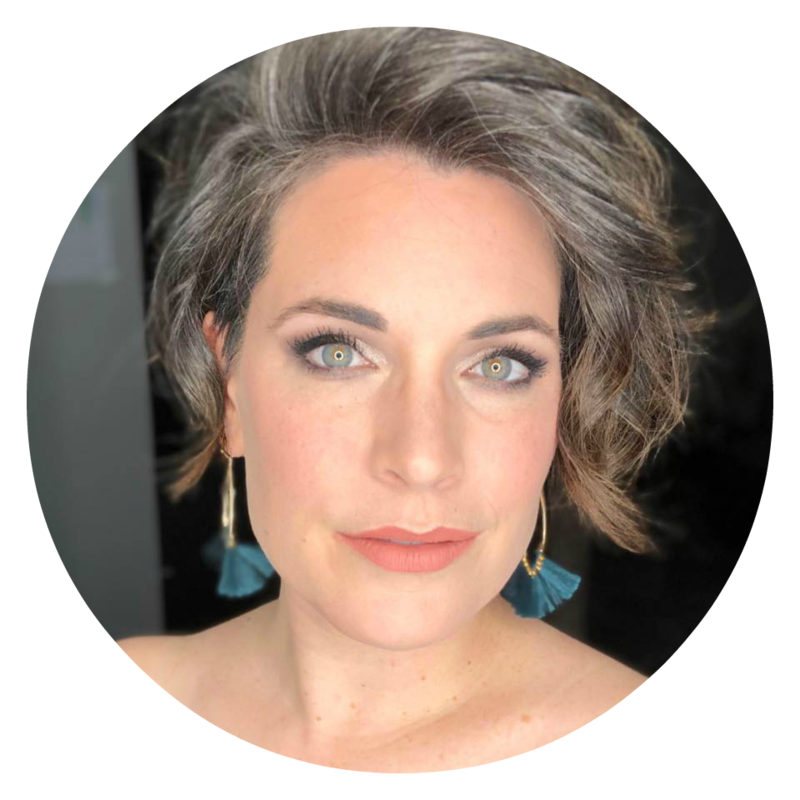 I’ve been dying my hair ever since I began going grey since I was in college, and have been able to lessen my trips to the salon by washing my hair with products like Garnier Whole Blends Color Care. Using a color-protecting formula is key to preserving hair color after dying, plus I ADORE the way the shampoo and conditioner smell. It makes taking a 20 minute shower feel like a spa day for this busy mom. 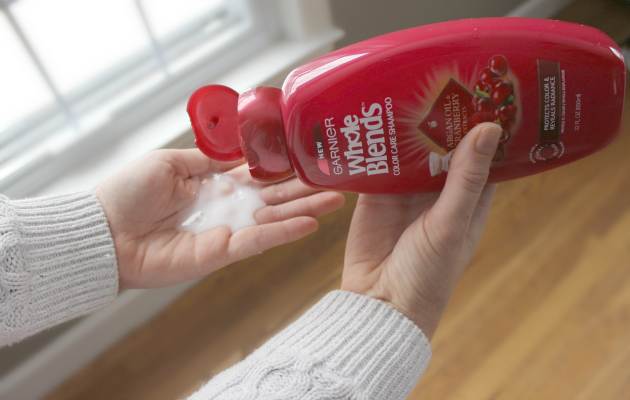 I like this new care line because it is paraben-free and infused with the essence of argan oil and cranberry extracts to not only protect my color but also reveal radiance. To help extend the life of my color even more, I don’t wash my hair every day, but more like every few days. In addition, I use a weekly hair mask, like the Whole Blends Color Care mask, to help hydrate and nourish my hair even more. 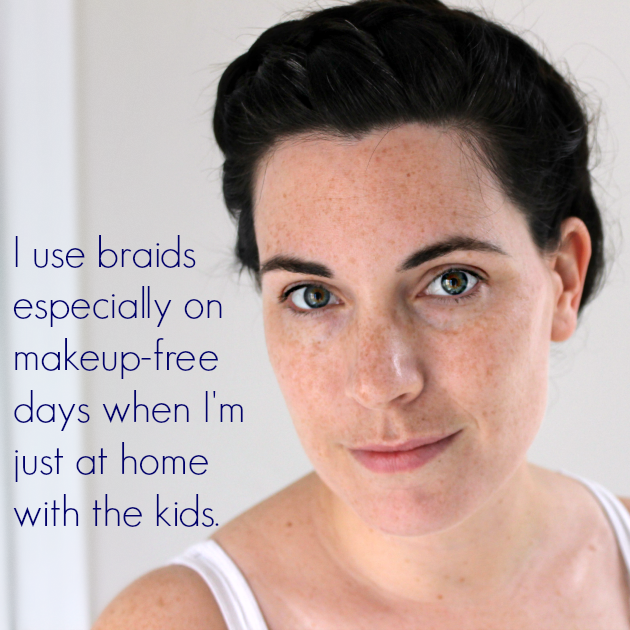 But those are both things I did before having kids, and now that I need to save my locks from the Vulcan death grip of my ten month old, I now also rely upon braids. 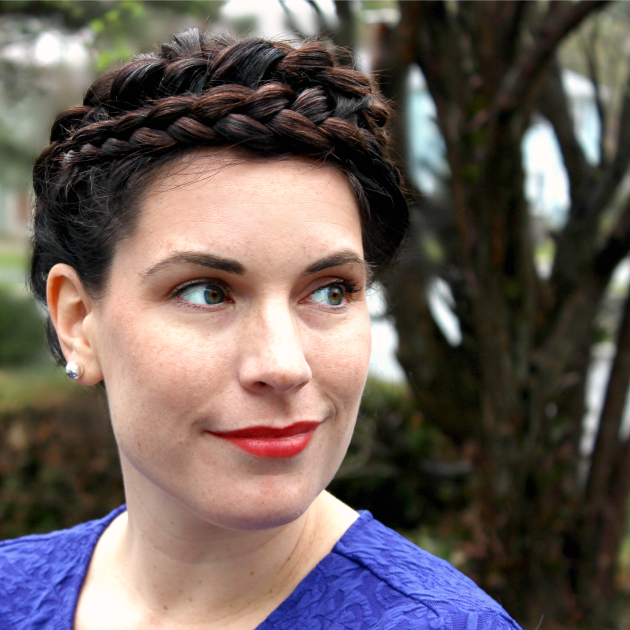 My go-to hairstyle for the warmer months is a crown braid, which keeps my hair off of my neck and away from my child’s reach, and it also keeps me cool. 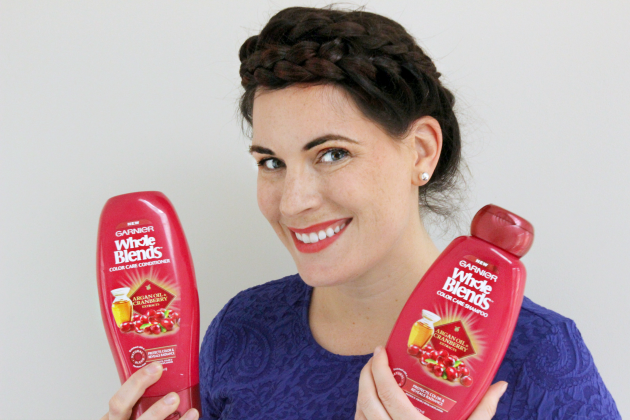 Plus, I adore braids for brunettes, since the braids help bring out texture and depth in dark hair. 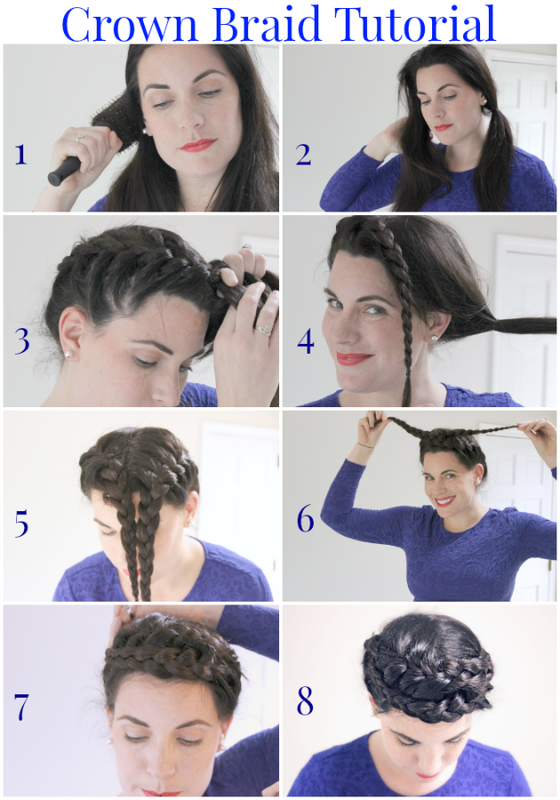 I sometimes do the crown braid hairstyle with wet hair, and other times with dry hair. It depends how much time I have that morning. If done with dry hair, I like to do this hairstyle on a 3rd, 4th or 5th day after a wash. 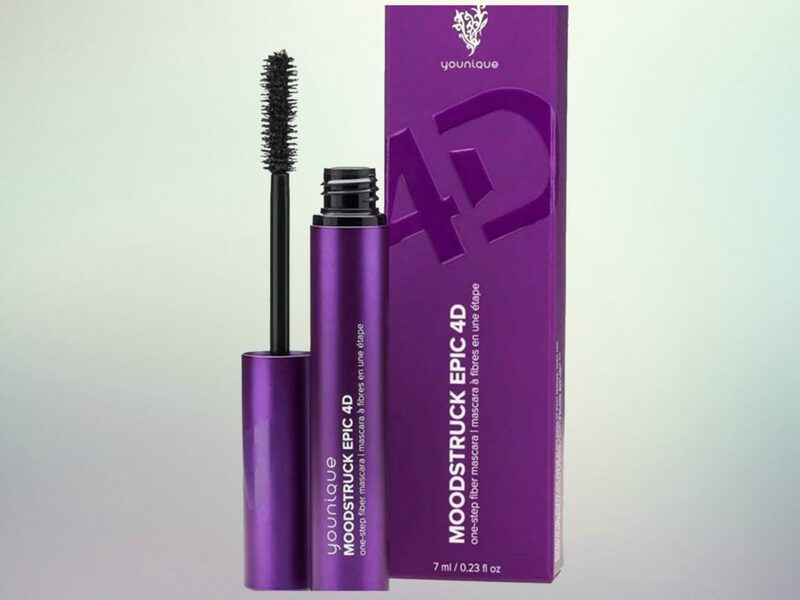 I find it gives my hair a bit more grip, and also helps me mix up my hairstyles throughout the week. Start doing a french braid, at the base of the part (behind your ears) and follow the natural curve of your head. I often start this with my head pointed down, and bring my head back up once I pass my ears. 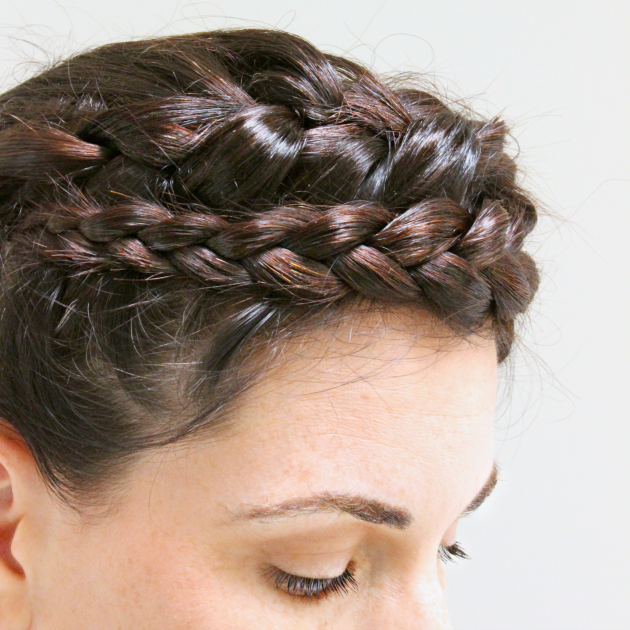 Finish french braiding until you reach your part, and then continue to finish the braid tail. Braid other section of hair the same way. Lay braid tails over to the other side of the head, by criss crossing them once. I often see which one will lie better over the other, and switch it from time to time. Pin down end of braids. Voila! You can spray fly-aways if you’d like, or pin down other pieces if they need to be secured. 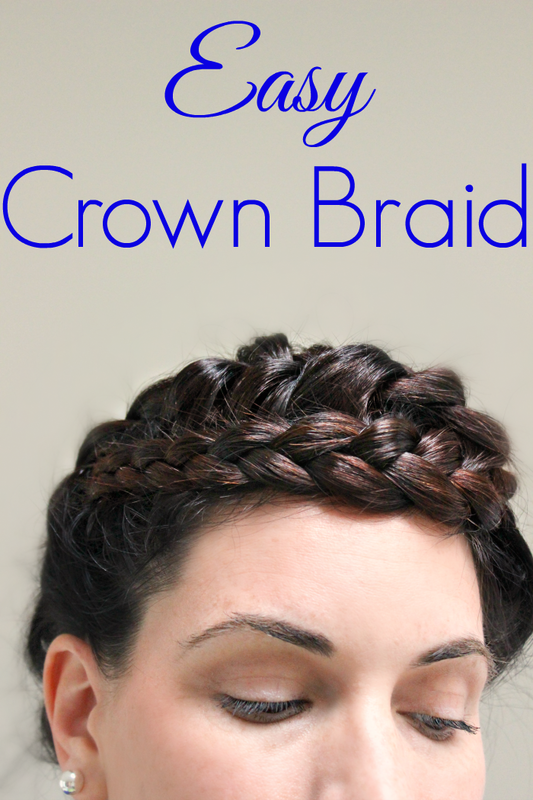 One of the great things about this easy crown braid is that it can be done with long or short hair, and you can also place it further back on your head or have it be a Dutch Braid instead of a French Braid. 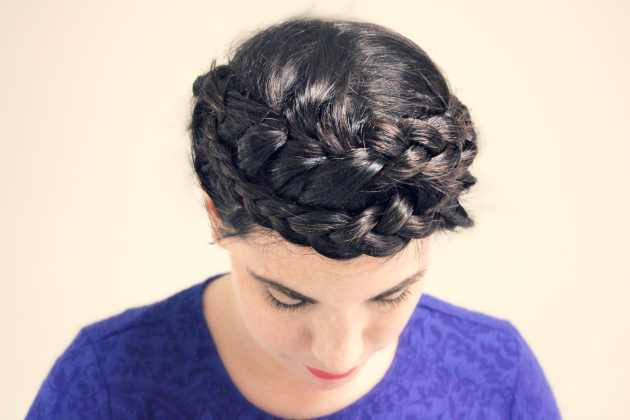 The possibilities with crown braids are endless! 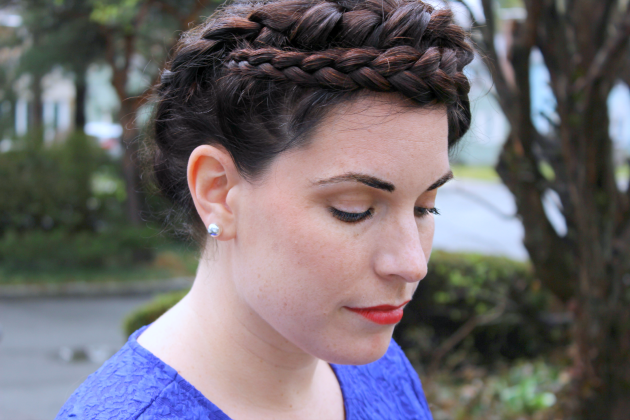 I love crown braids because they are simple, make a statement, and also make me feel regal, or like I’m a character on Game of Thrones! 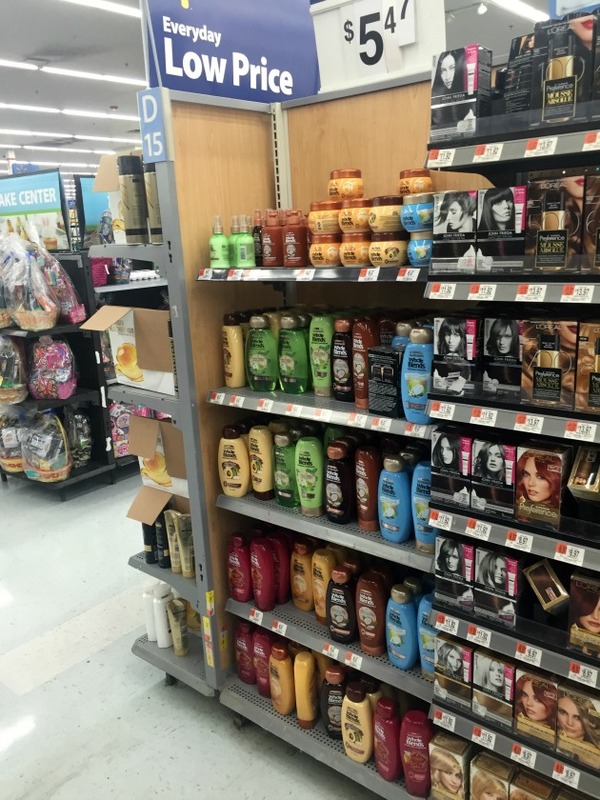 Plus, they help me extend my hair color. 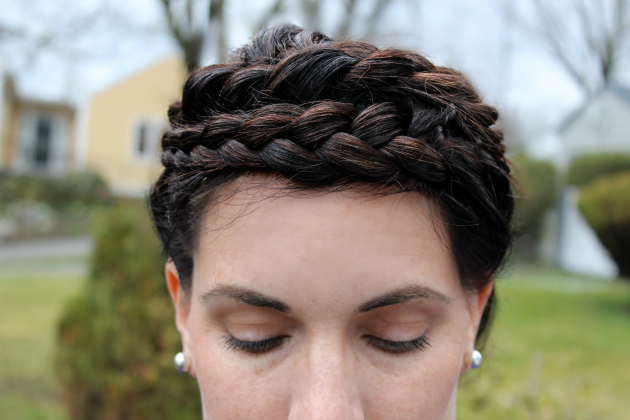 So even though it is an odd snowy April morning here in Rhode Island, I’m looking forward to more spring and summer braids! To be honest, even with the cold weather this week, I’ll still be rocking braids — because my baby’s still trying to rip my hair out! I hope you are all warm and getting ready for spring — I sure am! What are you most excited for this spring/summer? 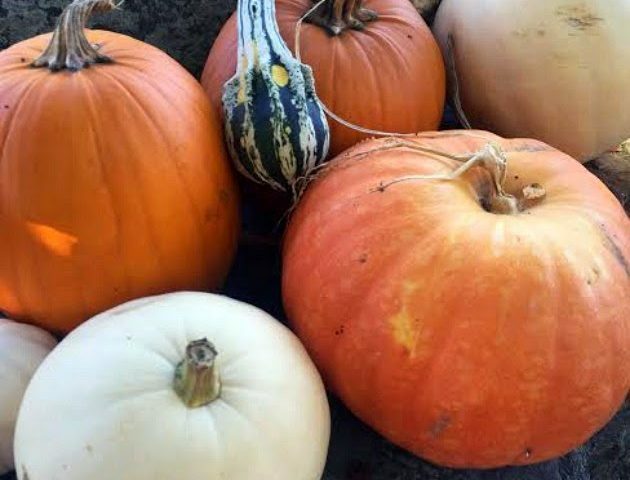 Let me know – below in the comments! Great tutorial! I've always wanted to know how to make one of these. Thanks for sharing! Attempting this week as practice. I hope I can pull this off with a broken finger for LTYM!!!! I’m a music nerd turned television host, turned Work-From-Home-Mom of two children. Get started on taking control of who you want to be. © Copyright Minute With Mary 2019. Theme by Bluchic.